Sketching is the best and easiest and most immediate way you can let your creativity flow. Just put pen on paper and you are halfway there. 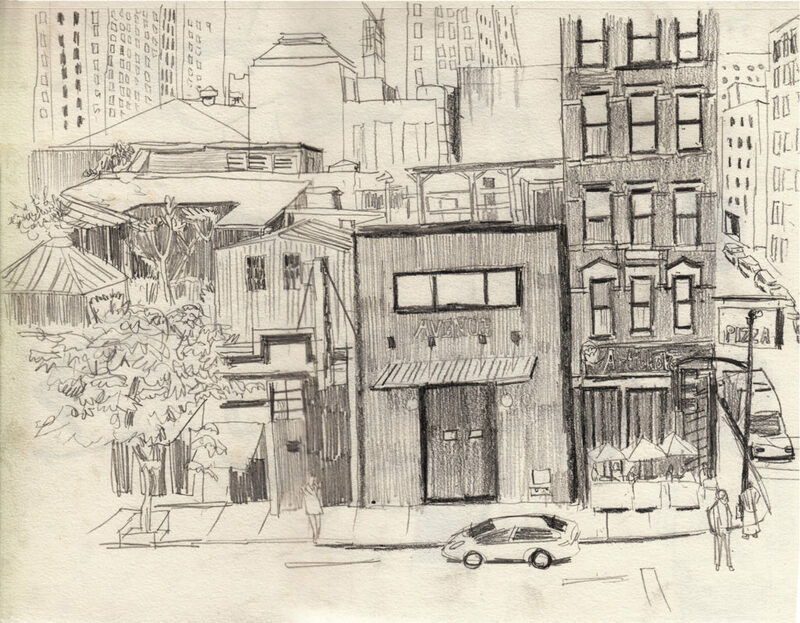 Here are 14 of the best places to sketch that are perfect for lingering in an artful way. Places that are accessible and interesting places to go and places that will allow you to explore the things you love by being out and about (or maybe not). 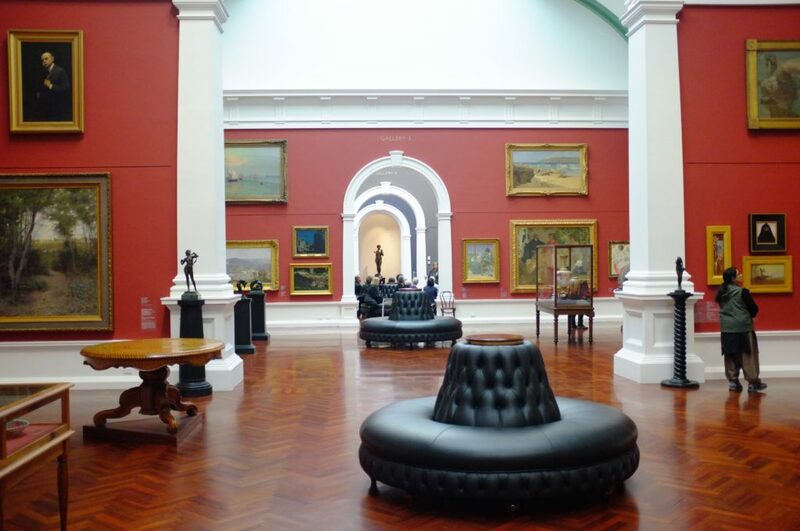 A museum offers a visual feast and a quiet atmosphere, making it one of the best places to sketch. Photo by Akshay Chauhan on Unsplash. Museums, sculpture gardens and public art spaces are all awesome places to sit and sketch. In all likelihood, you may not be the only one with the idea so keep your eyes peeled for sketch friends you didn’t know you had. Close your eyes and think of color — vibrant, shout-out-loud color. Now think if any of those colors are connected to a place you know of or have visited. They are for me. Sunlight streaming through the stained glass windows of my local church. 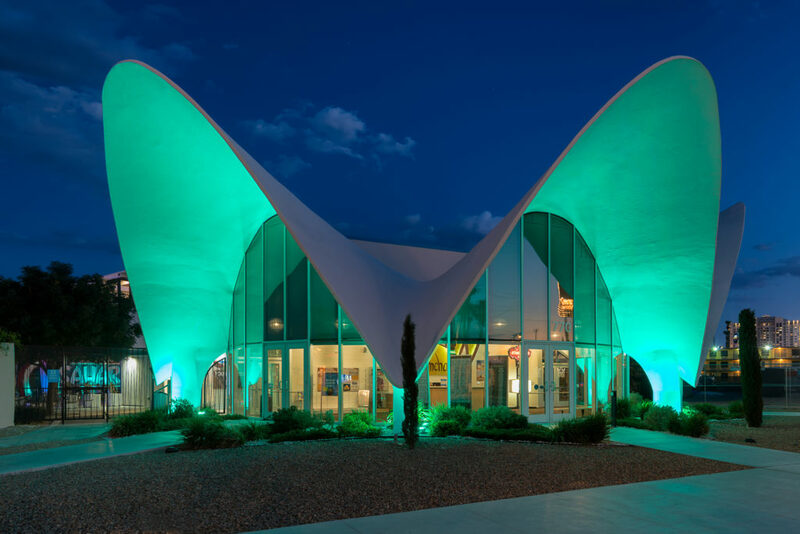 My favorite place in Las Vegas — the outdoor Neon Museum, which houses tons of the old casino signs in its sandy boneyard. The blinking, twinkling lights and colorful cars of the rides at the country fair or nearby amusement park. I love taking tours of open houses. 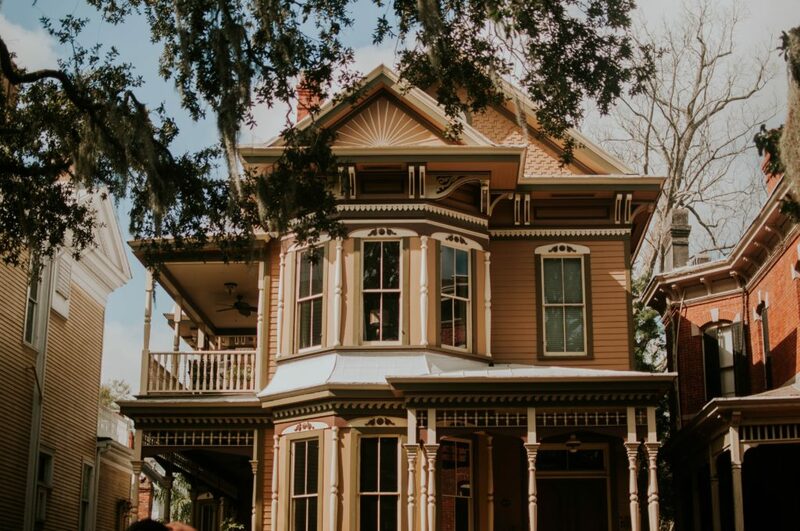 Seeing historic homes or fancy interiors is one of the best field trips for someone who loves architecture and interior design. You could also go to showrooms or even big box stories like IKEA. All of these might be the perfect setting for a sketch and you don’t have to do a thing to set the stage. In my mind these are also known as “sketch from bed” places. Why go anywhere? Have a sketch stay-cation and prop yourself up on your bed or sofa and sketch what you see: your pet, favorite houseplant, or kitchen sink. All of these can be worth your eye and creative attention. Personally, I think these kind of sketches are the most interesting of all. In this world of filters and controlled camera angles, these are real and true and special and like no one else’s. 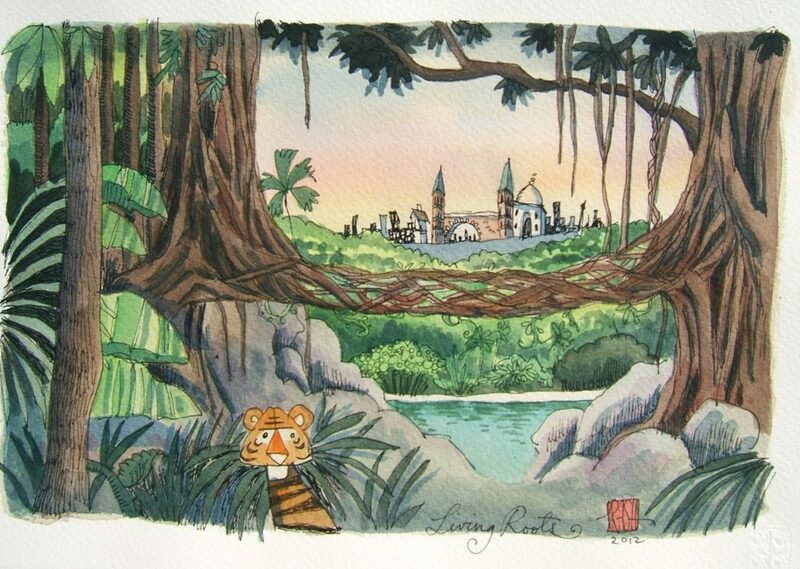 For me, the best places to sketch from my childhood would be the zoo and the circus and the dentist, not necessarily in that order. Seek out places that you have warm childhood memories of. (I was a weird kid. I liked my dentist, Dr. DeLeo — he was great.) Your sketch will be infused with nostalgia but you also get the opportunity to bring that memory up to date, even if the locale isn’t exactly the same…though that would be really cool too. 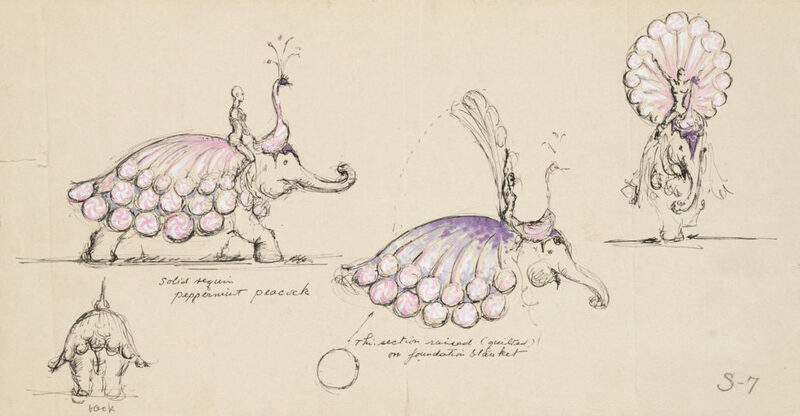 Peppermint Peacock Elephants — a sketch from Miles White, a costume designer whose work is on view in “A Kaleidoscope of Color: The Costume Designs of Miles White” at the John and Mable Ringling Museum of Art. Some of the best places to sketch are places that have nothing to do with art and may even be places you would never think to sketch. James Gurney and Marc Taro Holmes are great examples of awesome artists who take their art anywhere including parking lots. 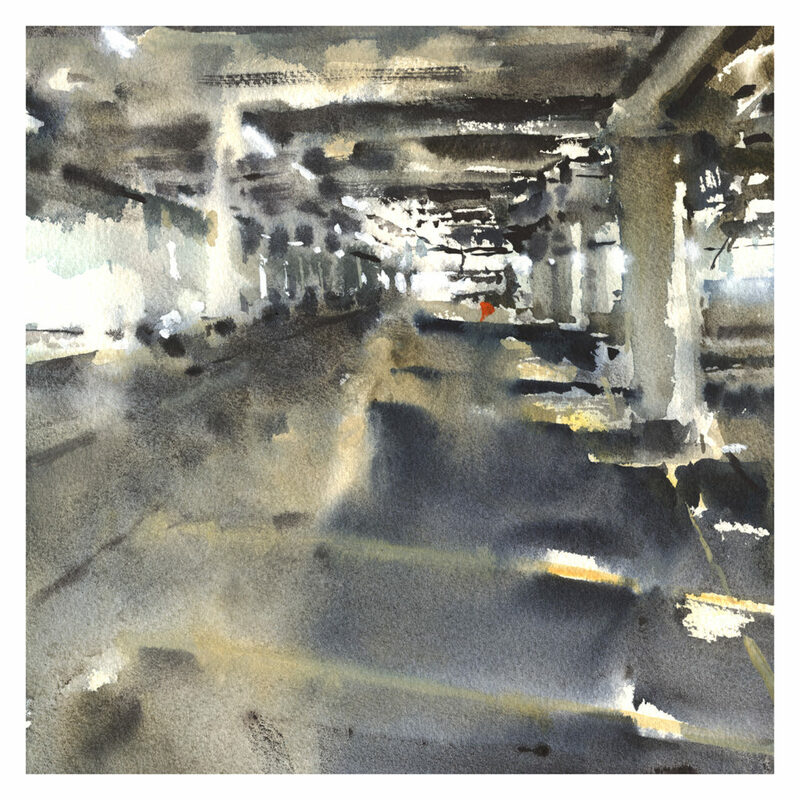 Gurney gets double the points for also watercolor sketching in a car dealership too. 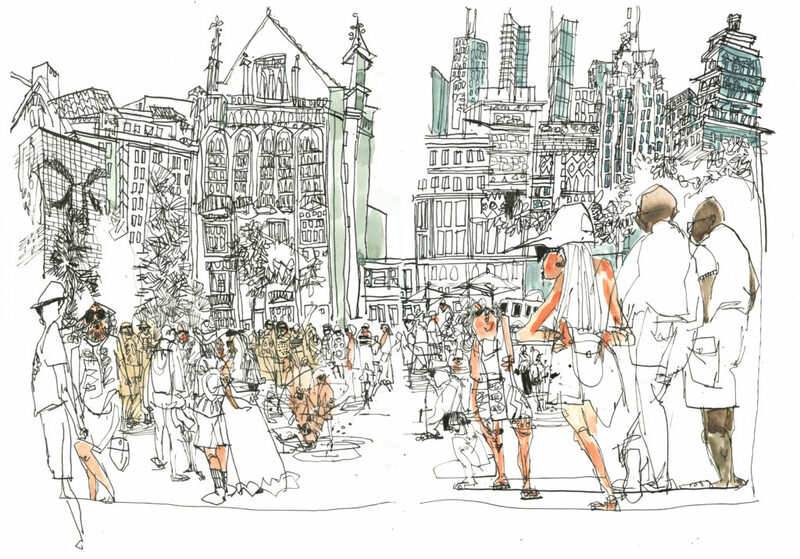 Marc shares tons of ideas and strategies on urban sketching in his book, The Urban Sketcher, that include exercises and troubleshooting for when you are out and about drawing the life around you. Plus he gives you pointers on sketching with a variety of materials: pencil, watercolor, and more. Crowds both big and small are sometimes the best places to sketch. Think a busy coffee shop or crowded beach. The people watching will be second to none and you can zero in on something particular or take a vantage point that allows you to capture the whole. Sally West is one of my favorite artists of right now. 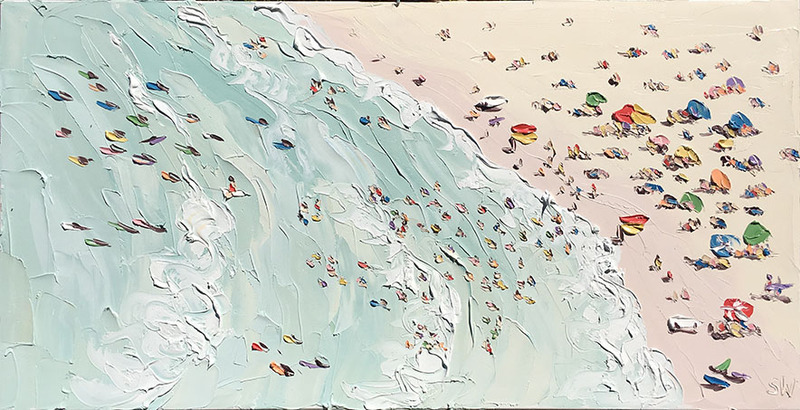 I love that she dabs and digs into paint to make these awesome, slightly disorienting beach scenes and that the detail is relatively nil and yet the impact is really strong. Beach (11.1.17) by Sally West. Go where the nature is! Botanical gardens, community gardens, grove of fruit trees, a nearby park, your backyard or porch that might just have one brave potted plant lifting its face to the sky. Where is the natural world on display for you? Plop yourself there and stay awhile. Prashant Miranda is an illustrator and ardent travel sketcher. He is one of the instructors at our first-ever SketchKon (the first ever in-real-life event devote to drawing) and a favorite artist you can learn from at Sketchbook Skool. Places that are instantly recognizable are fun sketch subjects because they give you an instant compositional focus that you don’t have to think too hard about. 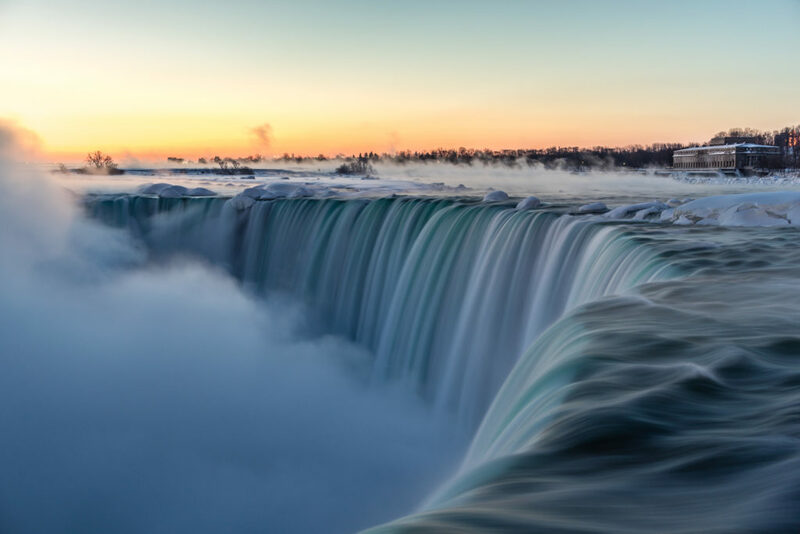 These can be of the natural world (the Grand Canyon, Grand Tetons, Mississippi River or Niagara Falls) or man-made (the Gateway Arch in St. Louis, Mount Rushmore or the trolleys of New Orleans). Niagara Falls is an iconic place well worth a sketch. What iconic places would be convenient for you to go to sketch? At SketchKon, there will be walking tours around Pasadena and sketching sit-ins. There will be drawing workshops and people watching and art material explorations too. SketchKon is Artists Network’s first event devoted to drawing, sketching and you! There will be tons of places to seek out and sketch, tons of tips and techniques to learn, and you can register now! Errands take you around your city or town a few times a week. Why not take a tour of your regular haunts with sketchbook in hand? Some of the best places to sketch are places that you know like the back of your hand: your favorite lunch spot or bookstore, the street where you live, your grocery store or post office. My creativity can be sparked by different things depending on the season. In summer, I love watercolor sketching and seek out dramatically shady places (mostly so I don’t get sunburned). In winter, you could be drawn to sketching footsteps in the snow. Pumpkin patches, turning leaves or barrels of apples in fall and wildflowers and clear blue skies in spring. Seek out your seasonal favorites and spend a page or two sketching them. 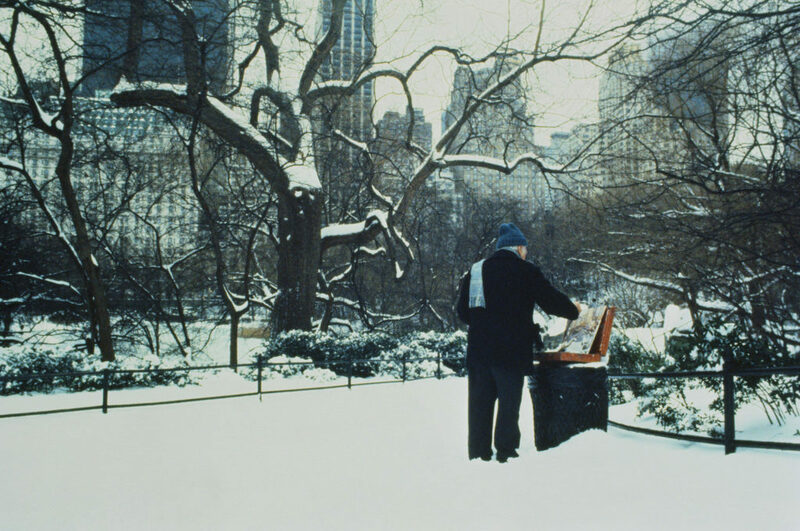 Winter sketching in your sketchbook or on a painting panel is just one way to capture the season. Imagine more–and for all four seasons. What is the most exotic place you can think of? Take a mental magic carpet ride and do a search on the computer or through the pages of a travel magazine and sketch a place that you might only know through photographs. Nothing wrong with that! Creative inspiration doesn’t have to reside within your city limits. Dream big and look far, and just be aware of the challenges of working from photos as you render your own “postcard” sketch. Earth, air, fire and water. 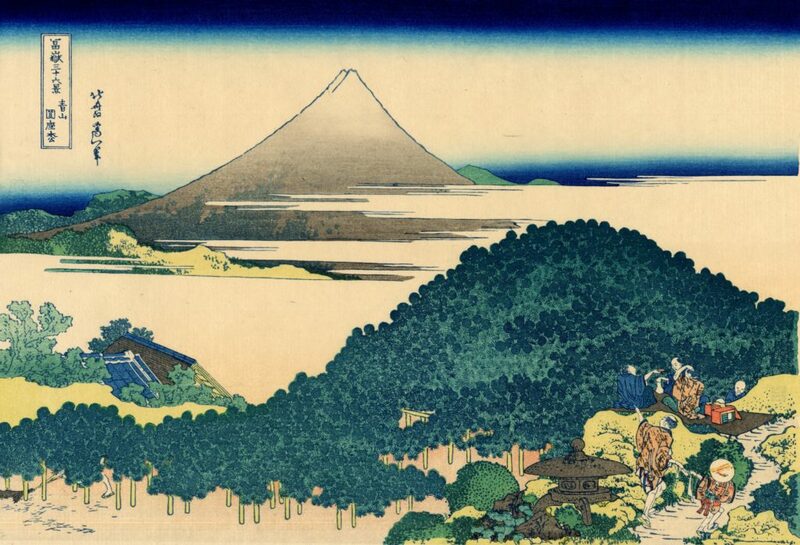 Each element probably evokes a different picture of a place in your mind. 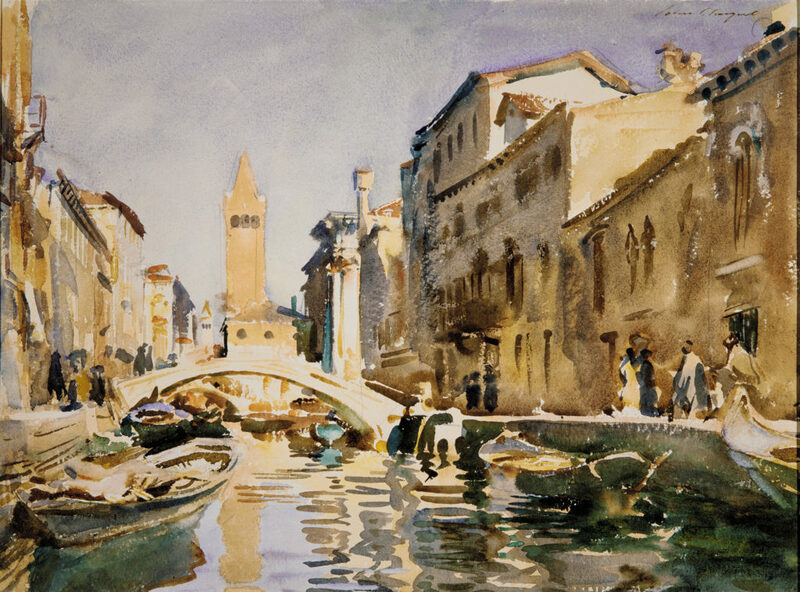 For me, water will always be the Outer Banks in North Carolina and the Venice canals. The sketches you do around the elements may be more symbolic than literal locales, but nothing wrong with that. But if you can marry the two, even better.